At our recent Customer Advisory Board (CAB) event, our customers requested information about the marketing and sales dashboard we built in-house to support our own sales and marketing decisions. Naturally, this data dashboard is built on the Treasure Data enterprise Customer Data Platform, or CDP, and is one of the key enabling tools for collaboration between our sales and marketing teams. If you are new to Customer Data Platforms, take a look at “What is a Customer Data Platform?” before reading about how we’ve built our dashboard. The information we shared about our dashboard with our customers at CAB was so well-received, we decided to write this blog post so more people could find out what we’ve been doing. Keep reading to discover how we set up our dashboard and how we use it every day to optimize growth. Our marketing and sales dashboard is designed to help us determine the effectiveness of marketing campaigns and track every potential customer as they move through the sales funnel. The marketing section of our dashboard allows us to monitor the performance of every marketing channel, including our blog, website, Marketo emails, social media accounts, etc. We use the account-based management platform Engagio to map prospect and customer interactions, such as website visits and email responses, with the people at Treasure Data who own the accounts. We even have a multi-touch attribution area within the marketing section of our dashboard, which helps us determine how much revenue comes from different combinations of channels and campaigns. By scoring each interaction with a customer, we get a truer picture of the performance of all our marketing efforts and can tie specific ROI to individual campaign touchpoints. You can learn more about the science of multi-touch attribution and how to use it effectively by downloading our Marketing Attribution Guide. Sample data shows how revenue is credited to different campaigns based on their place in the customer journey. First Touch attributes revenue to the first touchpoint. Last Touch attributes revenue to the last touch point. U Shaped gives greater revenue value to the first and last touchpoints and distributes the rest to the touchpoints in between. Linear distributes revenue evenly among all touchpoints. The sales section of our data dashboard tracks our high-level opportunities and shows us where they are in our pipeline. It also includes all our pipeline numbers and targets, which can be filtered by region and account executive. At a glance, we can gain an understanding of the current status of every active deal. Sample sales data can show how close your actual & expected monthly recurring revenue (MRR) numbers are matching your targets on a quarterly basis. Because all the data we need for our dashboard—from Salesforce, our website, Marketo, etc.—is unified in our enterprise CDP, we can select only the information we want and push it to our data visualization partner, Chartio, for user-friendly charts, graphs, and tables. Because the Treasure Data enterprise CDP gives you a lot of power when it comes to merging and unifying data, you can get exactly the metrics you want, with a lot of leeway to be creative. Today, our dashboard is very comprehensive across our marketing and sales funnel. It wasn’t always this way, and we recommend that clients build their dashboards as they go and change them as their business needs evolve. Since we built our dashboard, we’ve been getting ongoing feedback from our teams and continue to iterate. When you start out with a dashboard, choose a few key metrics and work with them for a few weeks before adding new ones. We first aligned on pipeline metrics like “Number of Discovery Meetings,” “Number of Pipe Adds,” and “Targets Plus % to Attainment” and broke them down by region, time, and lead source. Adding metrics incrementally not only kept us on strategy, but it also ensured efficiency by eliminating extraneous data. Perhaps the most important capability of our enterprise CDP—because it unifies data from disparate systems—is that it is easy to filter out information we don’t need or want in our dashboard. The sales portion of our dashboard emphasizes the ability to compare live data with comparable time periods. Our CEO, for example, can find out how this quarter’s data compares to last quarter, or to the same quarter a year ago. The marketing section of our dashboard breaks out information by channel and campaign, so each person on the team can monitor the information that’s most relevant to them. To make it easy for people to get to the right data, the dashboard interface includes a clickable table of contents. Both marketing and sales often need to look at specific segments of prospective customers, such as vertical industries. We can track what content pieces people from different segments look at before they request a demo. If you notice that the open rate is low on a specific email campaign, you can intervene and create a better subject line. If you see that a particular eBook or whitepaper is generating an exceptional number of demo requests, you can make that content available in more channels. You can determine what combination of tactics shortens the sales cycle and replicate it. You can determine which marketing campaigns are influencing pipeline the most and put more resources to similar tactics. You can map the customer journey by tracking data from events, webinars, page views, emails and putting it all together to determine an ideal customer experience. At Treasure Data, our sales and marketing teams use our data dashboard every single day to inform important discussions and decisions. Because it’s so accessible, the dashboard makes it easy to prepare for regular team meetings, make C-level presentations, answer questions, and make any necessary changes to improve results. If you’re a Treasure Data customer and want some help putting a data dashboard together, please contact me directly. If you haven’t yet implemented our enterprise CDP, please visit treasuredata.com or call our sales team at 866-899-5386. 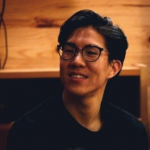 Joseph Choe is a Marketing Analyst at Treasure Data, specializing in the use of Treasure Data’s CDP to create tailored experiences for our customers. He also provides in-depth analysis to guide our Marketing and Sales teams.